Rare Category Exploration (in short as RCE) discovers the remaining data examples of a rare category from a seed. Approaches to this problem often have a high time complexity and are applicable to rare categories with compact and spherical shapes rather than arbitrary shapes. 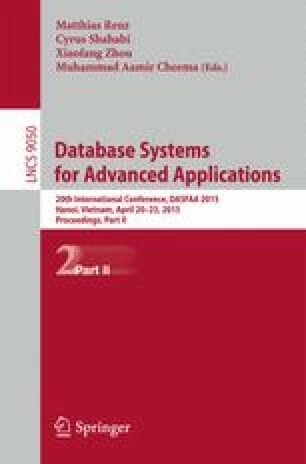 In this paper, we present FREE an effective and efficient RCE solution to explore rare categories of arbitrary shapes on a linear time complexity w.r.t. data set size. FREE firstly decomposes a data set into equal-sized cells, on which it performs wavelet transform and data density analysis to find the coarse shape of a rare category, and refines the coarse shape via an M\(k\)NN based metric. Experimental results on both synthetic and real data sets verify the effectiveness and efficiency of our approach.